Up next was the beautiful wine capital of Argentina, Mendoza! Although Patagonia was beautiful and the most amazing experience, I was so excited to get moving to warm weather and wine. 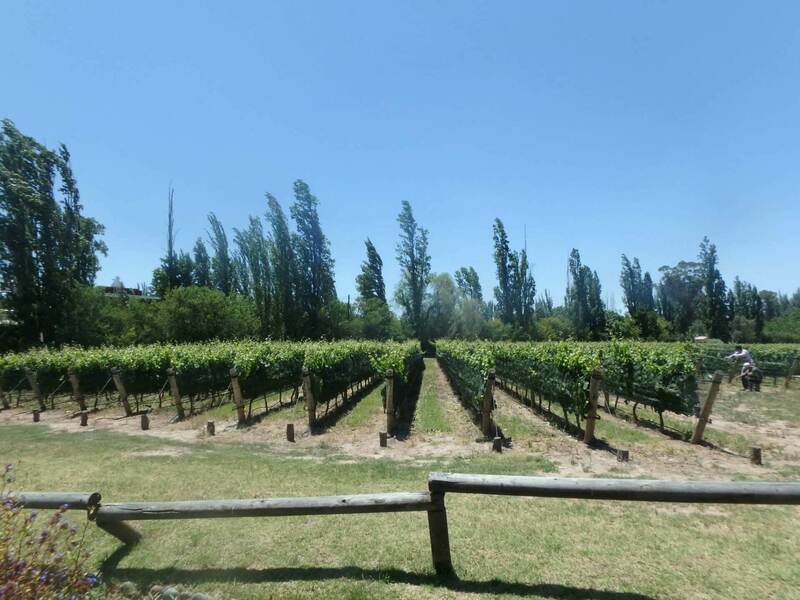 Mendoza is a large city in Argentina but is mostly known to tourists strictly for the wine – which was enough of a reason for us to make it a stop. An overnight bus took us from Bariloche (the lovely expensive Argentinian bus prices again of about $55 aud each) to Mendoza and left us tired and disorientated at 6am in a new city. Overnight buses are a great way to travel for a of couple reasons, 1) you don’t waste an entire day on a bus, and 2) you save money on accommodation for the night. For these reasons it makes the most sense to take overnight buses for journeys of about 10 hours or longer. That being said, I never get a proper sleep on the bus and it always drops you off at a ridiculously early time in a city where I have no idea where we are. Daniel and I download maps of each city onto our phone before we arrive so we don’t have to rely on Internet to get around. This helps us when we arrive to know where to go and if we are within walking distance to a hostel or not. There is an app called “maps.me” and it is great because it also shows all nearby amenities such as hostels, restaurants, and banks. Using this app we can quickly get ourselves to our accommodation in a city which is totally new to us. We were able to check in early at our hostel called Hostel Laos. 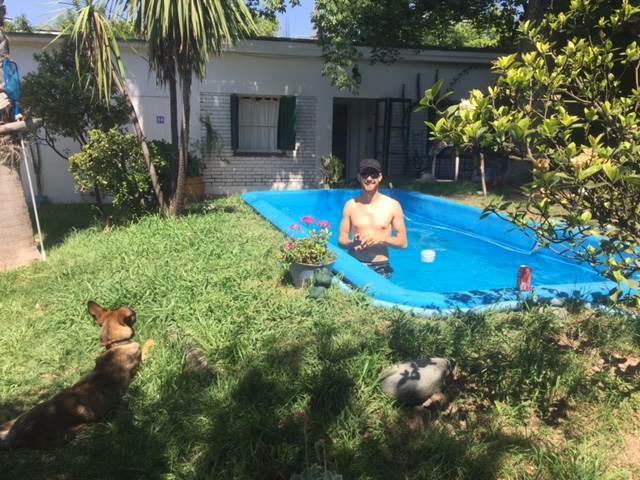 We loved this place, it had the cutest dog and a beautiful pool. Warm weather of about 30degrees Celsius each day combined with a pool, beers, and our new friends made this place hard to leave for a couple of days. With the exception of going out to see some locals dancing in the street one night and walking to the massive park one day , we pretty much situated ourselves in the hostel courtyard for two days. It was wonderful to soak up some sun. On our third day we got a group of about 7 of us from the hostel and headed out for a day at the vineyards. Mendoza is known for its wine, and specifically Malbec (which is one of my favourites.) Lots of tourists jump onto wine tours which are mini buses that drive them from vineyard to vineyard for wine tastings, these are expensive though and will cost around $100 per person for a half day. We decided to do the backpacker budget option which was to take the local bus out to the wine region, rent bicycles, and then ride to each vineyard on our own for tastings. 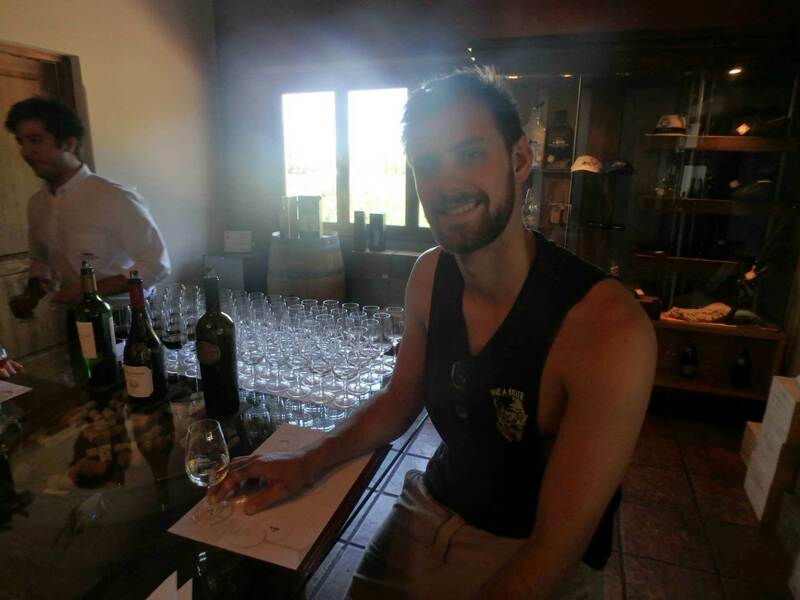 The bikes cost 150ARS each ($14) and the tasting at each winery ranged from free to about 80ARS. 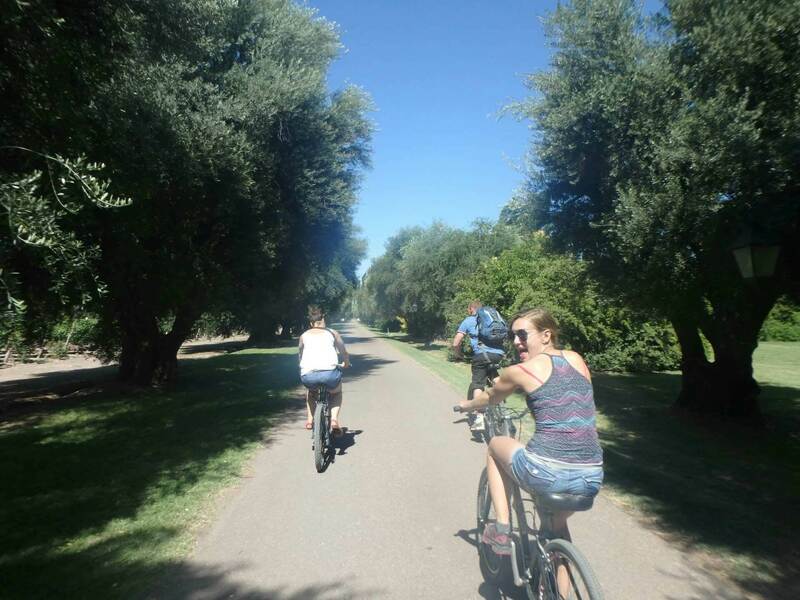 We would definitely recommend this option to anyone heading to Mendoza as it’s much better value and we had a blast riding through the beautiful vineyards with the Andes in the background. 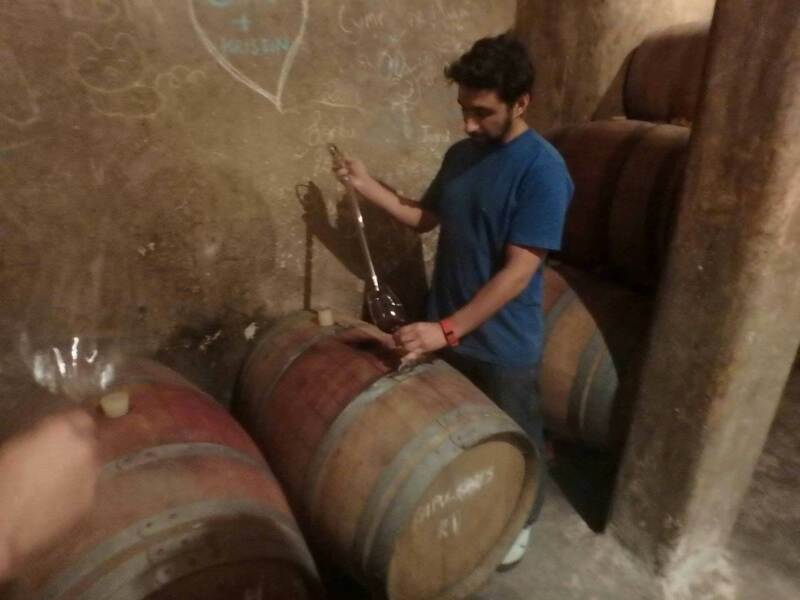 Some wineries even gave tours on how they made the wine. 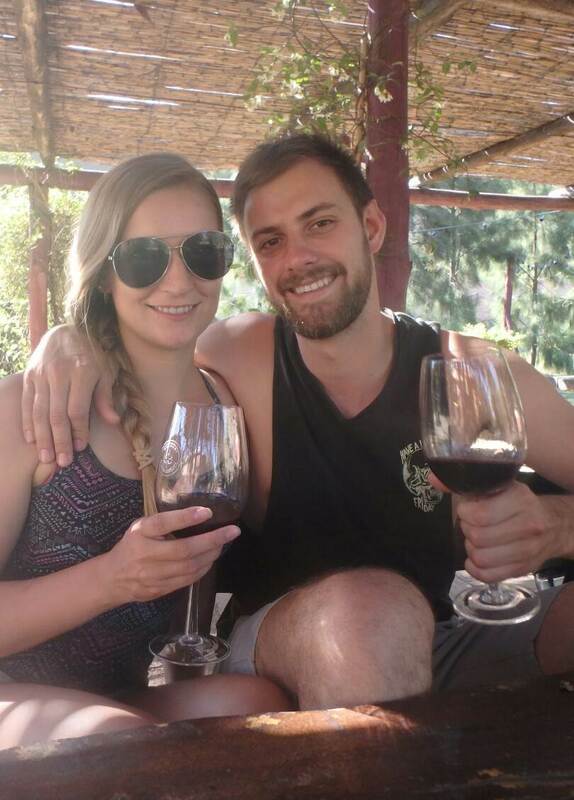 After our amazing time in Mendoza socializing, relaxing, drinking wine, and riding bicycles we felt ready to move into our next destination, Valparaiso in Chile. This was our final goodbye to Argentina, a country that surpassed my expectations and gave me so many memories over the last few weeks. If you are interested in our Argentina highlights check out the blog.